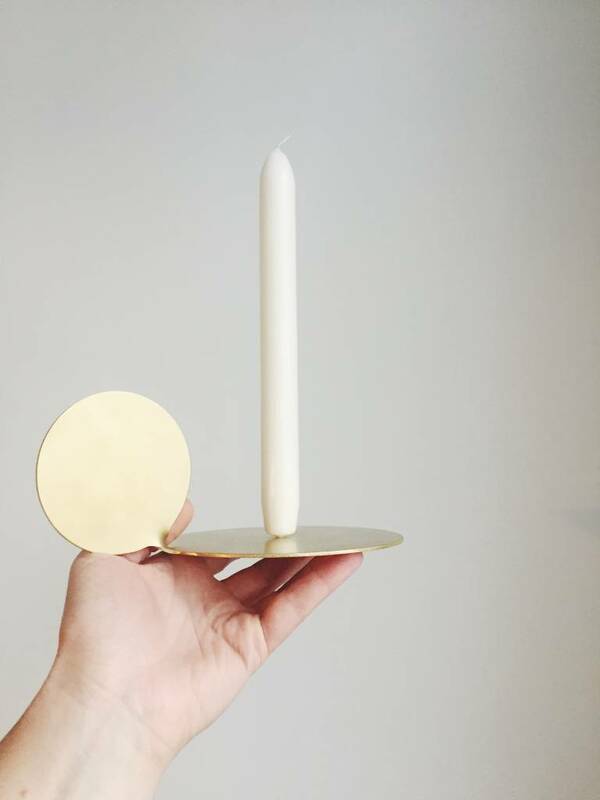 An elegant candleholder, inspired by the Full Moon. 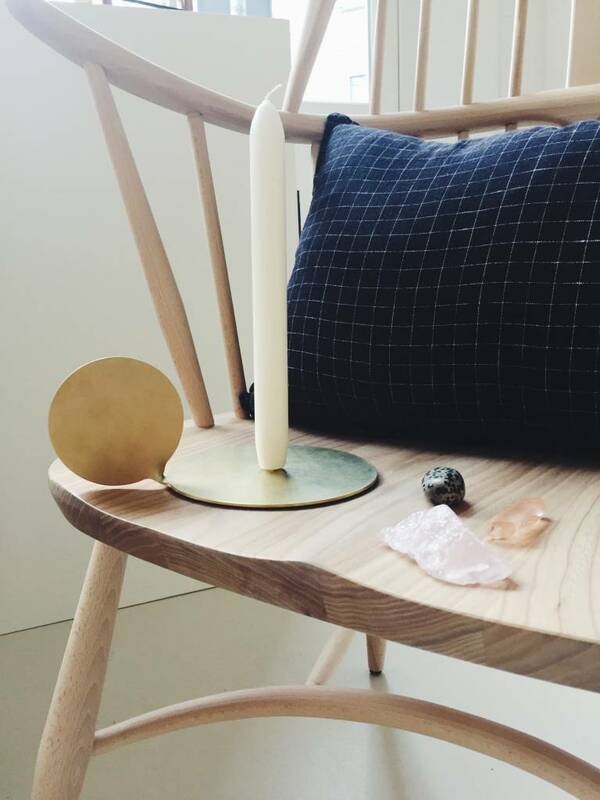 Its form draws from a traditional candleholder. 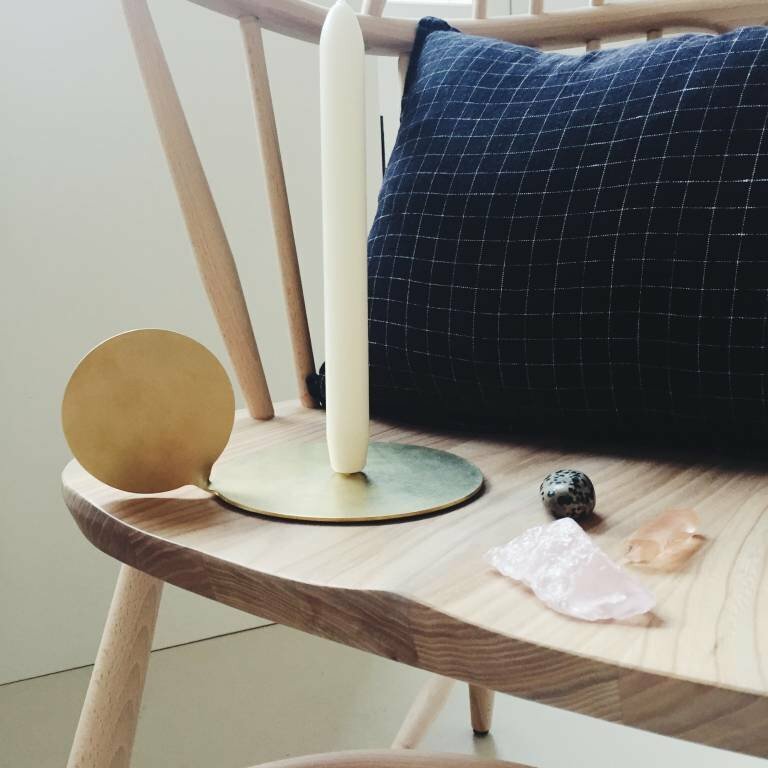 An elegant candleholder, inspired by the Full Moon. Its form draws from a traditional candleholder. The touch of your fingers leaves marks on the brass surface, which makes it look even more like the surface of the moon. Due to the manual production process, the products may slightly differ from the ones presented in the pictures. 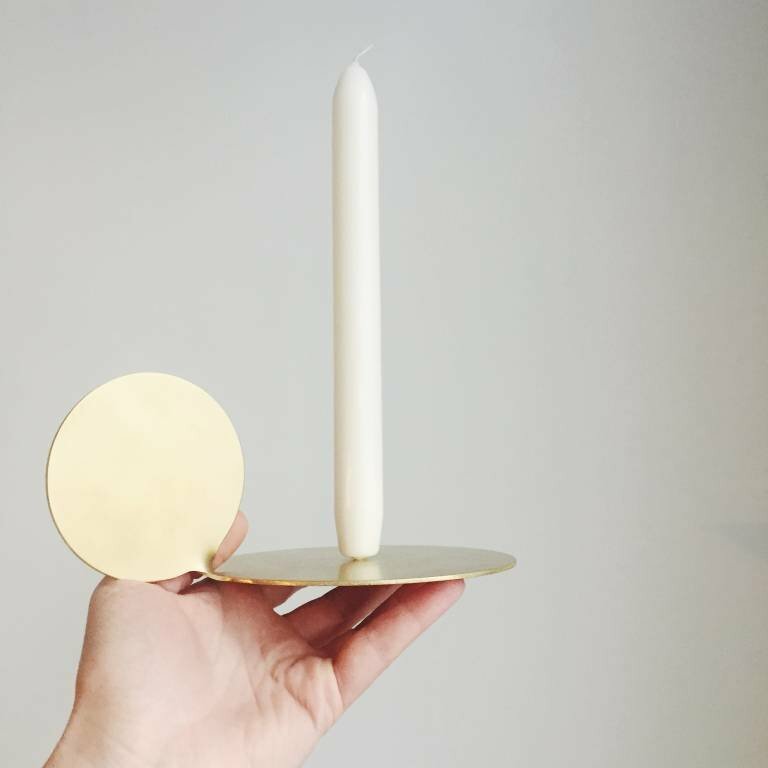 The candleholder is made out of polished brass and has rubber pads underneath. In order to bring back the original bright polish, you can use a cloth and polish made for brass. Wash afterwards with a dish washing detergent, then rinse with water and dry completely.